How to relieve symptoms of a cold? You can buy cough and cold medicines from pharmacies or supermarkets- where a pharmacist can advise you on the best medicine to help relieve your symptoms. 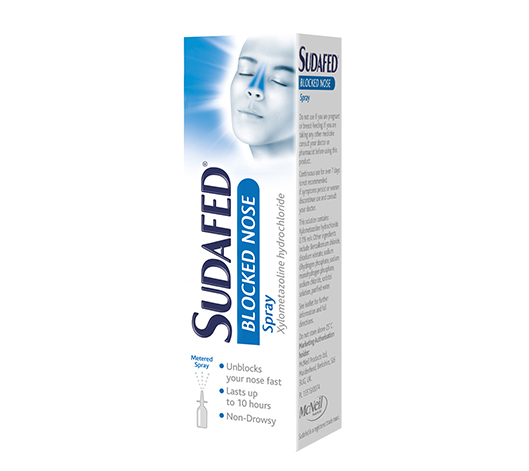 You can relieve a blocked nose with decongestant sprays or tablets- see the SUDAFED® Blocked nose range. It can vary but you should begin to feel better in about a week or two. See your GP if your symptoms don’t improve after 3 weeks. A condition in which the cavities around the nasal passages become inflamed. Acute sinusitis can be triggered by a cold or allergies and may resolve on its own. Chronic sinusitis last for more than twelve weeks or continue to recur. Symptoms include facial pain, infected nasal discharge and congestion. 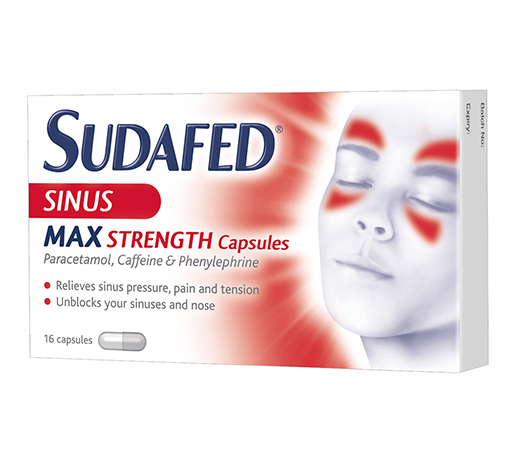 SUDAFED® Sinus Range can help relieve the symptoms of sinusitis. What are the different types of symptoms Sudafed can help relieve? It is not actually result of too much mucus in the nasal passages. A blocked nose is caused by inflamed blood vessels in the sinuses, which is usually triggered by a cold, the flu, allergies or sinus infection. There are various different decongestant medicines available to buy over the counter. Below are some common active ingredients and how they work. Xylometazoline –Helps clear blocked nose and sinuses caused by having a cold or flu. It works by contracting swollen blood vessels, reducing the feeling of stuffiness and congestion. SUDAFED® Blocked Nose Spray (Xylometazoline). 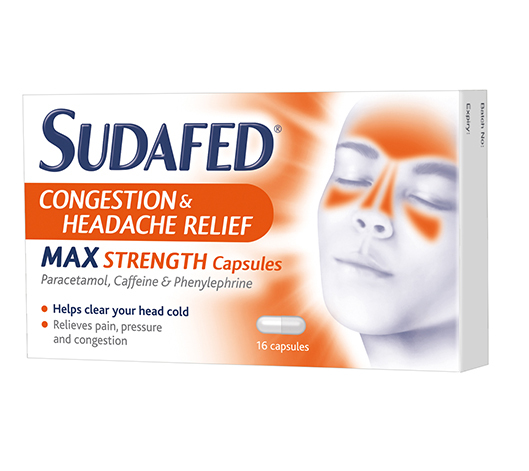 SUDAFED® Congestion & Headache Relief Max Strength Capsules. 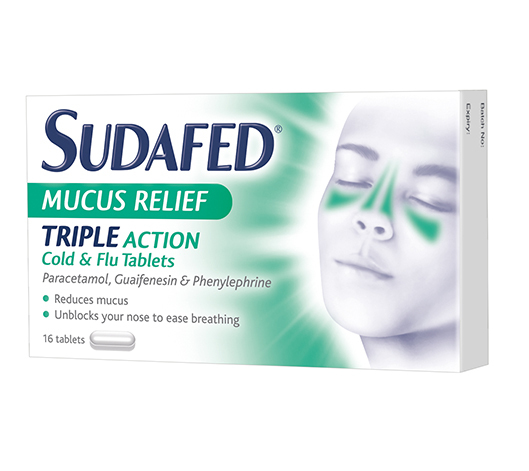 SUDAFED® Sinus Pain Relief Tablets. 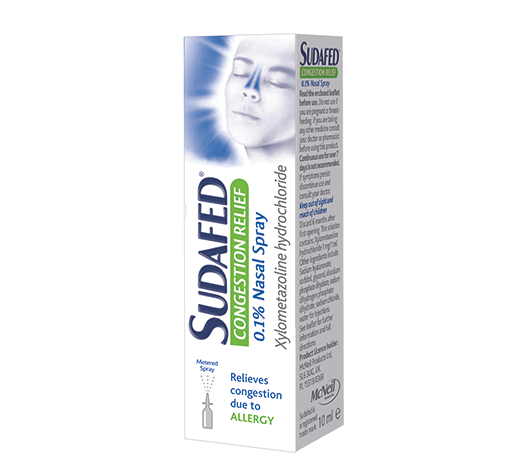 SUDAFED® Congestion Relief Nasal Spray (Xylometazoline). Always read the label before taking any medication.